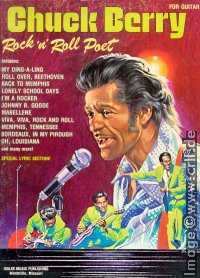 From the Chuck Berry songbook Rock 'n' Roll Poet (see the Bibliography), we learn that the song Tell You About My Buddy is not an alternative short version of Talkin' About My Buddy but a song on its own. The songbook again contains the lyrics, but not the notes of the song as well as those of the equally unpublished Roll Away. Both songs were authored by Chuck Berry.